Up to 200 quintals of sugar meant for the consumption of Addis Ababa’s households ends up smuggled illegally across borders to South Sudan, Kenya and Somalia, according to the Addis Ababa Trade Bureau. Every month, nearly six percent of Addis Ababa’s sugar is smuggled. The city currently receives 102,000 quintals of sugar per month from the Sugar Corporation, with a kilo sold at 15.50 birr. As sugar goes missing in the city, in the outskirts of Addis Ababa, one can find it being sold illegally from 20 to 30 birr per kilo. Corruption in public offices and poor monitoring mechanisms of sub-cities and the Regional Trade Bureaus were stated as reasons for the unlawful act. Akakki and Kolfe Keranyo Sub-cites were pointed out by the bureau as the major lines for smuggling the sugar out of Addis Ababa. The bureau also revealed that individuals in Consumer Associations have made contact with illegal traders to move the sugar unlawfully and pocket the profits. “We have seen illegal trade of sugar increase over the years and we have learnt that there is high demand for Ethiopian sugar in neighboring countries. 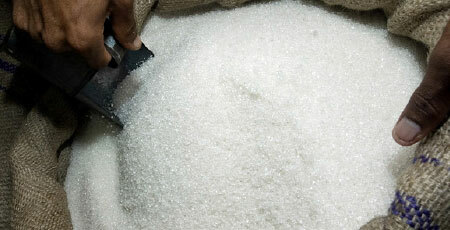 The disappointment here is that the government spends a lot subsidizing sugar so that it is distributed to the people, but it ends up elsewhere,” said Elias Aberra, Legal Settlements and Investigation Officer at Addis Ababa Trade Bureau. Elias also told Capital that a lack of coordination between the trade bureaus leaves the market exposed illegal trade. “We have made some charges against perpetrators but we cannot solve the problem by making charges. We need strong collaboration between all the regional bureaus to solve the problem,” he said. Ethiopia’s current demand for sugar is about 6.5 million quintals per annum, with 3.3 million quintals covered by local production and around 2 million quintals imported from abroad. According to Elias, problems on the supply side also contribute to shortages and illegal trade. “We have to do two things to solve the problem, the first thing is to increase the production of sugar, the second is to strength the control systems,” he added. Sugar factories currently owned by the Sugar Corporation are Wenji-Shoa, Finchaa, and Metehara. The biggest sugar factory with the largest production capacity is Wenji-Shoa sugar factory, producing 174,946 tons of sugar per year. Tendaho Sugar Factory, yet to be completed, will be the largest of all with an annual production capacity of 619,000 tons of sugar and 63,000 cubic meters of ethanol.